Despite the fact that California can feel like summer practically year round, it was 78 degrees in January for our “winter wedding” for goodness sake, I still get excited for the first day of summer. The anticipation of suntan skin, summer dresses, drinks that end in the word “spritzer”, the smell of a good bbq and don’t even get me started on the footwear options, all leave me anxious for it to come and sad to see it go. I’m a Californian, born and raised, and if there is one thing us Californian’s all love, it’s summer. This year, for the first day of the season, we had a lunch date with my childhood best friend who was passing through town during her visit from New York. I have two of the world’s most perfect besties, other than the fact that they BOTH live in New York. No one’s flawless. 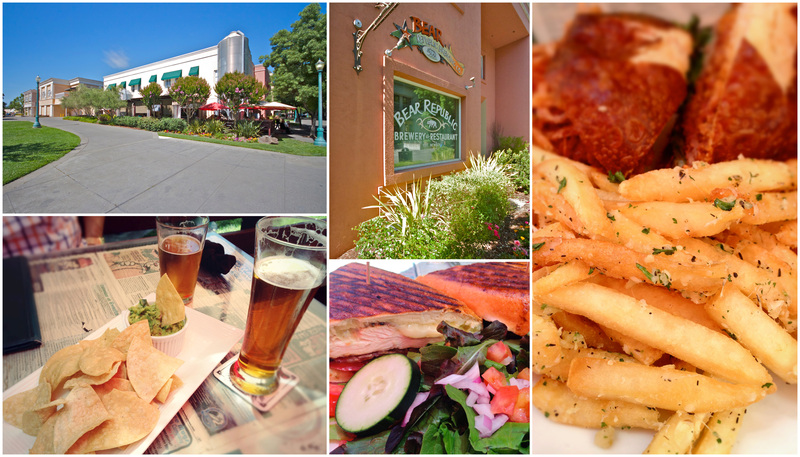 To make things easy for the East Coaster, we planned on meeting in downtown Healdsburg, an easy hop on and off of the 101. In thanks to weekend road construction, our meal time got a little thrown off and it ended up being more of a we eat now, you sit and chat over drinks later, kind of a lunch date. Regardless, the time spent catching up was priceless. No matter how old you get, I don’t think the down right giddiness of girl time ever goes away, especially when your time spent is so sporadic. Icing on the cake is that I am fortunate enough to have a bff friendly husband who sincerely likes the people I keep closest. When it comes to him and Nina, the two get along like cheese and salami. Ryan and I decided to post up on the patio at Bear Republic, a local brewery, to wait out the arrival of the “Neen Bean”. What started as beer with chips and guac quickly turned into more beer with burgers and fries. With a menu covering all the brew house basics, fried anything, house chili, burgers that make you feel full just reading the descriptions, their unique twist is that you can chase all of it down with my husband’s favorite beer in it’s very own brewery birth place. Racer 5, liquid gold. 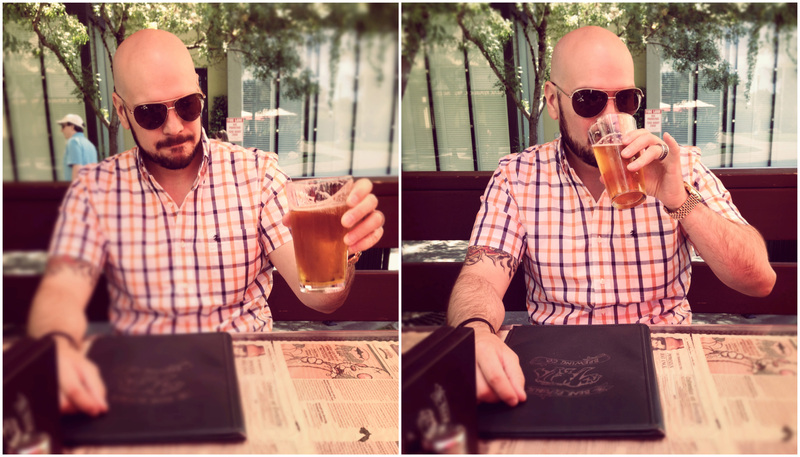 I on the other hand am not a fan of ales, too hoppy for me. With the mid 90 degree temperature and the festivus aura of summer, I went with the current local Mexican lager on tap, El Oso. I paired my beverage of choice with “The Press” sandwich full of grilled chicken breast, caramelized onions and crispy bacon all oozing with melted brie. Babe had the Stubby Burger that included pulled pork and fried onion shoe strings topped with a pretzel bun. Godd-bye, normal diet. Hello, garlic parmesan french fries. After the drinks, food, and friends, the only thing left to complete the subtle celebration was a time out for my favorite hobby, shopping. We hugged good-bye, sent our guest on her way and made a good clean lap around the town plaza. 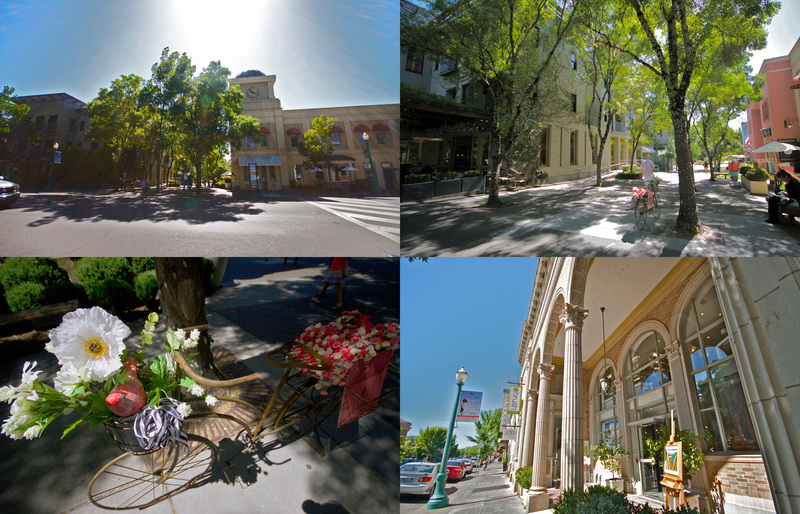 Sprinkled with everything from clothing boutiques, home decor studios, restaurants, bakeries and an occasional art gallery, downtown Healdsburg has my favorite variety of shops. If I am being completely honest, at times, Healdsburg has a sort of ridiculous attitude of eliteness that you can detect from some of the shop owners. I think it has a slight reputation that can be discouraging but overlooking a possible occasional cold shoulder, the shops themselves have some great finds that you most likely won’t find anywhere else. Although I rarely walk away with a purchase, the finds that I have scored there are some of my most top favorite closet highlights. My “have to visit list” each time we go always includes Clutch, Susan Graf Ltd., Saint Dizier Home and Bella. There was no doubt that today officially turned into summer. The sun was out in full force. There were short shorts and maxi dresses a plenty. With my melon colored, gold spiked, Steve Madden jellies, home cut denim shorts, and of all things a Fruit of the Loom wife beater from Target, I completely submerged myself into the seasonal spirit. As the prospect of things to come seems limitless, and in my typical “I’ll drink to that” characteristic, I say “Cheers!”. Here’s to a damn good season, to my pledge to wear more rompers, to completing my search for the perfect wedges and to hours of staring at my husband in swim trunks. Cheers to the highlights yet to be made. Cheers! to the summer solstice. OK, so as I confided to your mom on Sunday, I am always hesitant to “like” or comment because I feel like if I do I can see you and your girls rolling your eyes and feeling like I am an ancient stalker who has no life of my own. However I am biting the bullet to let me know how fun/sweet/amazing and entertaining your posts are. I would like to take a tiny bit of credit for your writing skills but since I can hear your voice so clearly I have a feeling you were born with them. Glad you got a drive by visit with Nina. Happy for you and your happy life!